Fundamental conditions began to slip last fall and continued through the first quarter of this year. Stocks lagged behind bonds during most of this time, and the economy ground to a halt in the first quarter. Now, it appears that conditions are firming somewhat as we enter the summer months. If this sounds familiar, it should. Last year, we saw a similar pattern. 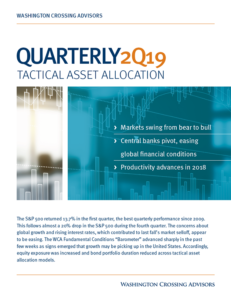 After contracting at a 2.1% annualized pace in the first quarter of 2014, the economy roared back in the subsequent two quarters with growth nearing a 5% pace through mid-year. With worry over the Federal Reserve (Fed), Greece, China, etc. grabbing headlines, we thought it might be helpful to list six clear signs of improvement we’ve noticed in the data over the past few weeks. Labor compensation is up 2.6% in the first quarter (highest growth in a while). Overall, these are positive developments for the domestic growth case. Internationally, we continue to see some signs of weakening demand as China’s growth continues to decelerate and commodity prices remain near multi-year lows. 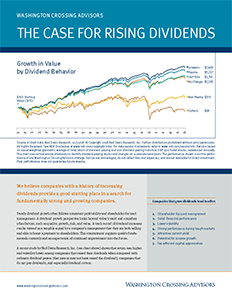 Additionally, we are mindful that valuations are higher relative to underlying earnings. The S&P 500 multiple on forward 12-month operating earnings forecasts is now 16.9 times versus a 14.1 times 10-year average. On a trailing net basis, the S&P 500 now trades at 18.4 times earnings versus a 10-year average multiple of 15.6 times. Still, we are happy to see the recent improvement in the data flow which reduce the potential likelihood for further contraction in the economy and suggests a return to modest growth ahead.